Snacking between meals helps to sustain your energy and mood, kicking those late night cravings to the curb. Healthy snacks also maintain stable blood sugar levels throughout the day which is key for those who suffer from hypoglycemia and hyperglycemia (or diabetes) alike. Furthermore, if you are trying to maintain a healthy weight or to lose weight, eating regularly is an important part of any meal plan. Going for long periods without eating or skipping meals slows down your metabolism and at your next meal you may over eat. A good snack should be nutrient dense and ideally balanced in protein, carbohydrates, healthy fat and fiber. However, some snacks are better than others. If you are going to snack, you might as well eat the best. Here are some healthy, snack swaps to consider. 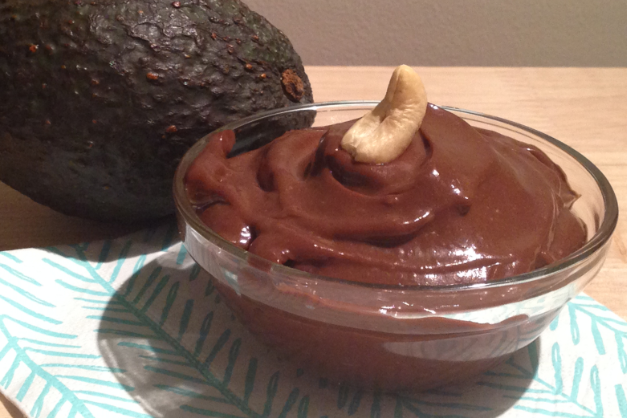 Avocado chocolate pudding is easy to make and loaded with selenium, potassium , fibre and healthy fat. Swap that chocolate bar with homemade chocolate pudding. 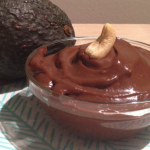 This recipe is made with avocados but your kids will never know! Ingredients: 1 avocado, 1/4 cup unsweetened coconut milk or other milk of your choice, 1/4 tsp of cinnamon, 1/4 cup of cocoa powder, 1 tsp of vanilla extract, 3 tbsp of maple syrup – you can add more if you’d like. Directions: Combine all ingredients in your blender and blend until smooth. Serve chilled. Top with fruit or nuts for some crunch. Avocados are loaded with healthy fat, selenium and contain more potassium than bananas. Dark chocolate contains antioxidants that are heart and brain healthy. 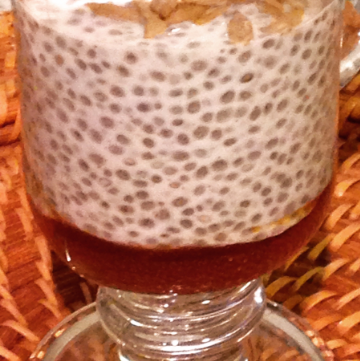 Chia pudding is a great substitute for yogurt or oatmeal. It’s high in protein and fibre. If you’re tired of yogurt and oatmeal, give this recipe a try. 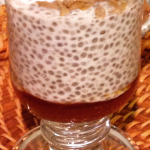 The consistency is similar to tapioca pudding or a porridge and the nutritional yield of chia just amazes me. Chia seeds contain omega 3 fatty acids, fiber, tons of vitamins and minerals, antioxidants and protein. In fact, 4 tablespoons of chia seeds will provide approximately 16 grams of protein. This means chia seeds make a great snack that will also keep you satiated. Ingredients: 4 tbsp chia seeds, 1/2 tsp vanilla extract, 1/2 tsp cinnamon, 2 tbsp maple syrup, 1 cup of milk of your choice. I use unsweetened coconut milk. Directions: In a mason jar combine the chia seeds with the dry ingredients. Stir in the coconut milk and the maple syrup. Mix really well, seal the jar and place in the fridge overnight or for at least 4 hours. In the morning, top with granola, shredded coconut, fruit or nuts. Voila! I’ll be sharing a few more of my snack swap ideas on Toronto’s Global News at Noon on February 23, 2015. Tune in!